Head to the new Student Life website to learn more about how you can get oriented, healthy, involved, and gain experience! You’ll find information about new student programs, academic success, wellness, student leadership programs, employment opportunities, and campus events. Some of the Douglas College Student Union clubs that exist on campus are the Business Association, the Photography Club, the International Association, several dance clubs and many more. Get the complete list on the DSU website. 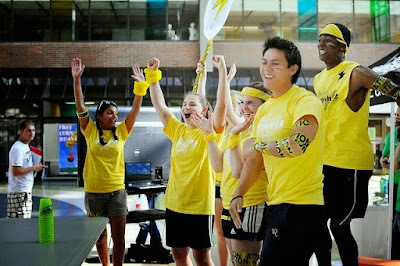 Getting involved: There are lots of college events and programs that you can join, and if you do, you’ll meet new people. While you’re at Douglas College, we want you to make new friends and have fun doing it. Get Experience: You want to graduate with a resume that grabs attention and gets you hired. We want to help you! Getting involved on campus, being a student leader, and working in Student Life are great ways to get experience that shows employers what you’re capable of.